1/4" MNPT x 1/2" Hose Barb 316 Stainless Steel Adapter | U.S. Plastic Corp. 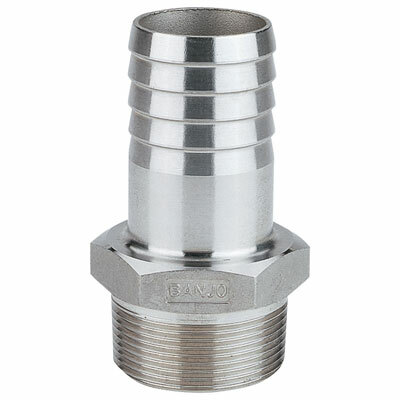 These 316 SS 1/4" MNPT x 1/2" hose barb fittings are precision cast with a high quality process design to insure uniform quality and fit. The 316 SS is chemically resistance and protects against corrosion. They feature a hex flat in between the thread and barb for tightening. Fitting come in a combination of sizes from 1/4" to 3" and have male NPT threads.